In mid-November 2018, the CMS, under the direction of the Trump administration, proposed highly anticipated modifications to managed care regulations that were put in place back in 2016. These modifications would grant states more flexibility in determining network adequacy standards for Medicaid managed-care plans, with intentions of aligning Medicaid regulations more closely with Medicare Advantage standards. Simply stated, the intent was to generally increase the privatization of Medicaid Managed Care and limit federal financial involvement. Given that Medicaid Managed Care Organizations behave similarly to self-insured employer groups, states vary in the levels of financial risk taken when contracting with participating provider networks. This relationship creates a unique opportunity for provider networks to either solidify their network by aligning with other existent contracts, or more realistically, a chaotic scenario involving a misaligned blend of Medicaid, Medicare Advantage, and commercial participation within a provider network, or even individual physician office. This brings the all-too-familiar patient confusion, revenue cycle difficulties, front-office misunderstandings, and overall provider enrollment nightmares. Pass-Through Payments – This proposal expands states’ authority to direct payments from plans to providers in states transitioning towards Medicaid managed care from traditional Fee-For-Service models. The proposal is a three-year period that permits states to require payments that equate Fee-For-Service reimbursements to ease the financial transition for provider organizations and healthcare facilities. Testing Value-based payment reform – This proposal permits increased authority at the state level to offer value-based payment models potentially reflecting value-based methodologies used in Medicare Advantage and commercial markets. It is noteworthy that this does not directly mimic Medicare Advantage frameworks which reduces much-needed value-based synchrony but offers regional flexibility for provider groups to actively negotiate mirroring value-based contracts with a traditionally siloed payor class such as a CMO plan. Provider Network Adequacy – Currently, states enforce network adequacy standards that include time and distance standards for various provider specialties. Many argue this deters telehealth and telemedicine capabilities that could allow networks to include distant professionals. This proposal eliminates this requirement completely and replaces it with quantitative network adequacy standards that may include loosely defined provider-to-patient network ratios. Completely removing the time and distance rules for even primary care providers caused significant concern with provider organizations, which is likely to be addressed in the final rule. Additionally, states would now maintain the authority to define “specialists” in terms of network adequacy standards. Rate Ranges – The proposed rule allows rate to vary only by beneficiary or service characteristics, unlike the current reliance on the level of Federal Financial Participation (FFP). Importantly, this rule modifies the stipulation that payment modifications must be delivered based on sound actuarial principles. This means any revisions and underpaid reimbursement due to a variety of rate-related issues could be simply denied. Coordination of Benefits (COB) – As managed care enrollees are often covered by multiple sources (Dual eligibility in Medicare Advantage, specialized behavior/dental care, etc). Currently, the proposal offers states the flexibility to route claims as they chose rather than the existent policy that leverages Medicare’s claims routing methodology. Further Information provided by The Centers for Medicare and Medicaid Services can be found here. As the payer market in Georgia has consolidated through mergers/acquisitions; one of their key goals was increased efficiencies that they could leverage through size. Unfortunately, their provider partners have seen the exact opposite: consolidation has taken significant power out of the local state markets and placed it into national warehouses; whether that is claims appeals/provider loads and credentialing/etc. This national consolidation has slowed payer response and accountability to resolve issues. Newly elected Insurance Commissioner Jim Beck recognizes that payers need increased accountability in Georgia and has, therefore, convened a stakeholders committee representing providers around the state; to identify the top four issues facing providers for the Insurance Commissioner to address with payer. One of those key issues is provider credentialing and the typically slow processing of network loads; which is a statewide issue and a key focus of the complaints that they receive. It is evident that the payers in the state are not sufficiently meetings the challenges of provider credentialing. Despite the universality of this issue, Commissioner Beck’s team shared that less than 10% of the overall complaints that their office receives are from physicians/hospitals. The DOI is simply not hearing from enough providers in this state to hold payers accountable to provider issues; in fact, medical complaints still represent the smallest percentage of insurance complaints received. Thus, the lack of complaints fails to trigger the additional scrutiny available from the DOI over payer activity. The DOI’s resources are going to be devoted to the bulk of complaints that they received; therefore, SHP encourages our providers to ensure that they are utilizing the Department of Insurance complaint process. By appropriately reporting the myriad of payer issues, we believe that Commissioner Beck’s team will have a clearer picture of ongoing payer issues, thus direct their resources more actively in our assistance. The DOI link is listed below in order to submit a Provider Complaint; including using the portal for electronic submission to DOI. 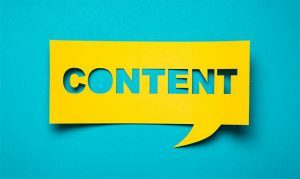 In the age where Buzzfeed listicles dominate and memes have replaced words, it’s difficult to figure out how to create blog content that will keep a reader engaged past the title. The good news? We have some tips on how to hook those readers in and keep them coming back for more. 1. The acronyms are actually important. The digital age is filled with talk of the almighty SEO, or Search Engine Optimization. The lofty air surrounding SEO engagement is actually pretty vital to a blog or really any digital marketing campaign. Keywords lie at the heart of SEO optimization. They’re the main points of your content and will help Google guide potential readers to your site. This is not to say that you need to throw a million keywords in your blog so that the actual points are muddled with Google-nonsense. The reason why someone clicked on your post was because they were interested in the title and/or topic, so make sure you deliver on that promise. Unfortunately, most people won’t stick through text-heavy content. To get people to keep reading, come up with creative subtexts, organize the information into bullet points or lists, provide links to other sources, and include those images and/or videos. In this article by The Guardian, research shows that videos are the way of the future, so partner with YouTube and start cranking out interesting clips to accompany your blog posts. 3. Give your readers something in return. Sure, the information that you’ll be providing is a gift enough, but sometimes creating even more engaging content means providing the readers with something tangible. Perhaps for a share, your reader can download some cool treat (i.e. white paper, ebook, video) that relates to the blog content? Creating contests will also help boost your fan base. People love to compete, and what better way to get your business out in the virtual sphere than by having people share your information for a prize? 4. Grammar is actually important! Play with words to make your copy more lively and fun to read. Know when to be direct and when it’s proper to be passive. Depending on your company, some topics should be said in a more approachable manner with suggestions rather than rules. As we’ve been doing, use the second person to talk directly to the reader. Yes…you! Keep your tone of voice in mind when creating content as well. Nothing will put a reader off more than an unfriendly or rude tone. 5. Literally engage your readers. Listen to what your audience is saying about a particular product/trend/whatever your business does, then try to get them to respond on your blog. Ask questions. Be inviting. Encourage comments. 6. And your point is? Written by Jeremy Miller with Boost by Design. When recruiting for a job, companies look for many things before they even pick up the phone to call you for an interview. Most people think that when you, the potential job candidate, submit a resume online, it gets screened by either a computer program or human, and then you are either called or the resume is put in the rejected pile. However, there is much more to the recruitment process than you think. Let’s start at the very beginning. The candidate finds your job posting. Something about what you have written interests them. They think… “This is perfect for me” or “I can do that.” They then put together their resume, write a cover letter, and hit the send button. 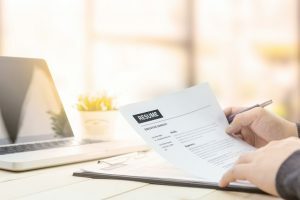 I am sure most candidates assume that the recruiter begins reading their cover letter before they even look at a resume. That really is not the case; in fact, it is more likely than not the cover letter will never even be read. Oh yes, as recruiters we highly encourage the candidate to write a cover letter, but in all honesty, on average per job opening we receive about 250 resumes with a cover letter attached. Odds are we are not going read the cover letter; we are going to go straight to the resume. Only about 23% of the cover letters sent are read. We ask that you submit cover letters because if it comes down to you and another candidate, we will look at the cover letter and check to see who would be a better fit. Next, either the computer app recruiter’s use, scans for key words in a resume and then flags it as something you must see or you personally go through each resume. It takes an average 5-7 seconds for a resume to be scanned, either by a human or a computer. That is right, I said seconds. It takes longer for you to make a sandwich. Although it only takes a few seconds to scan the resume, it only takes about 1 second to notice a grammatical error or typo in a resume. It is like a spotlight is shown on this one tiny mistake, and it then blinks at you over and over again. I understand, when you are young and creating an email address, you think… “I will be creative with it, it is going to be sunshineandrainbows@gmail.com.” Now, that is great when you are 11 years old; however when you in your 30’s sending out resumes, it is not so professional and the recruiter will not take you seriously. So there goes the resume….in the rejected pile. Last, but not least, social media is here to stay. As recruiters we are going to see if you have an online presence. We want to see if you are someone we want representing our company by what you post. If you just post about your family and pets, then odds are we are going to pick up the phone and call you for an interview. If you post how much you hate your job and co-workers, we will probably send your resume to the rejected pile. 1 out of 4 recruiters will reject you based on your online presence. Before you hit the send button on your phone, computer, or tablet, think to yourself…Is my resume grammatically correct/no typos; Does my cover letter sell me and what I have done and what I will do for the company; Should I change my email address that I have had since I was 11 yrs. old; Are my social media accounts set to private and how do I look if an employer should look at my profile? But above all, remember you are a professional; therefore, your first impression should be as a professional. 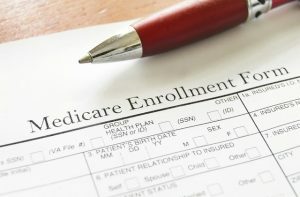 Medicare Advantage (MA) plans have continued in popularity with over 22 million enrollees for 2019 according to CMS, an increase of over 32% since 2015. While beneficial, is still a confusing product for most. As a result, most on Medicare will stay with a plan simply out of the intimidation of the process. Thankfully, due to the 21 Century Cures Act, you have an extended time frame for enrollment this year. You now have until March 31, 2019 to change your Medicare Advantage (MA) plan, or switch to ‘traditional’ Medicare and purchase a Part D prescription plan (You cannot change Part D plans during this 1st quarter time frame). This time can best be served by more education of the plans in your area, as some markets can have up to a dozen plans to select from. According to CMS, these changes will take place the first month after the plan receives your request. As you investigate the many offerings in your area, first review your current insurance coverage and what you may need in the coming year or gaps that currently exist. Do not get lured simply by the low premiums, while attractive, may not be the solution you need. Some plans will also come with other appealing options such as gym memberships or dental coverage. However, they can also change annually and limit your provider network / selection. Be sure to stay focused on the entire coverage of services, including your providers, hospital, and prescription needs. Everyone has a friend/colleague that we like to discuss things with such as work or other colleagues in the workplace. We like to discuss the good, bad, and ugly of our workplace stresses, frustrations, and annoyances with our friend/colleague…does this mean we are gossiping or is it just venting? This is a grey area for most, so hopefully this will give you some guidance of when venting can become gossip. Venting is commonplace in the workplace; in fact it is inevitable. At times we need that friend/colleague with whom we can share our frustrations with and that is absolutely ok. In fact, many would say venting can be a healthy release of stress and frustration for some. When we vent or a colleague vents their annoyances or stressors constantly, please keep in mind this can spread negativity and be disruptive to your co-workers just as much as gossip. But like all things, we should always think before we speak. One of the most important things to think about when venting is to choose someone who can be objective about whatever you are saying. The second thing would be to tell someone who is going to keep it confidential. Most of us process our feelings by talking them out with someone or we need help figuring out how to respond. Venting is totally appropriate during these times. A good friend/colleague should be someone you can rely on to be honest with you good or bad. It is very easy for us to get in the habit of venting about every little perceived grievance in the workplace. Be mindful that this can create a workplace reputation for you as a complainer. You can minimize the impact you are having on your fellow teammates by not venting any frustrations at work itself but go to lunch with your friend/colleague or discuss it after hours. Venting is not something you would want to do in an open space, say near the copy machine, because someone will overhear you and can misconstrue what you have said and then turn that into gossip. Now here is the grey area when workplace venting can be perceived as workplace gossip. You should start by asking yourself some simple questions: is the information you are sharing yours to share, why would this person need to know this information, and is it true? Keep in mind, even if something is public domain, it doesn’t always make it right to repeat it. The second question is slightly harder for us to qualify. If you are sharing information about someone as a warning to not repeat their mistake or to help see things clearer, then it is not gossip. However, if this information is being shared for no other reason than to share information that is hurtful or not flattering, then not only is it a bad habit to share; it is gossip. Even if you are stating a fact, that doesn’t mean it isn’t gossip. Whether you are gossiping or venting about work, please balance the negative with the positive and come up solutions. If you or your colleague only focus on the negative things about work, you are never going to be happy with yourself or your job. Start coming up with solutions to things you feel are impacting the company negatively and voice your solutions so you can be a part of the change and not the problem. If you are tempted to vent or gossip, please think before you speak. Think what the repercussions could be as to what you are saying. We are human, and we will continue to fall in the grey area. Hopefully, these steps and questions you will ask yourself will help you to stay in the venting category as opposed to the gossip category. As 2018 came to a close, the Centers for Medicare & Medicaid Services (CMS) released substantial adjustments to the Medicare Shared Savings Program (MSSP), most of which are arguably the most impactful since its inception. “Medicare can no longer afford to support programs with weak incentives that do not deliver value,” CMS Administrator Seema Verma emphasizes. The final rule particularly targets MSSP Track One ACOs, the vast majority in the market, as data on their ACO cost performance ‘does not move the dial’ as substantial as ACO participants who took performance-based financial risk. To further encourage risk, CMS reduced the shared savings rate to 40% for those ACOs that do not assume risk, previously known as Track One MSSP ACOs. All other ACOs that acquire financial risk will keep the 50% shared savings rate. Timeline Within the new program, new “low-revenue” ACOs will have only three years to remain in a one-sided risk model whereas existing one-sided ACOs will only have a single year to take on additional risk. All other new ACOs will have two years to take on risk. Those ACOs strategically avoiding MIPS and/or those ACOs who did not emphasize the seriousness of their commitment to the program will no longer have a free pass. Quality: Pathways to Success increases accessibility to telehealth services to boost convenience for patients and providers, including services delivered at a patient’s residence, as difficult as that may prove to be. Many Telehealth enthusiasts appreciate another incremental step towards broadly supported Telehealth services even if the reimbursement expansions may only be available to ACO participants who take significant financial risk. Beneficiary Engagement: To further drive improved health outcomes, Pathways to Success allows ACOs to offer new incentive payments for beneficiaries who participate in their care by obtaining primary care services and adhering to necessary follow-up care plans. With care coordination resources provided by most ACO’s, the theory of ‘getting them in the door’ and thus having actionable data, will permeate the necessary communication and care most go without today. Though CMS themselves predicts 109 ACOs will leave the program due to these changes by 2028, the estimated savings is estimated at $2.24 billion over the next decade. Most ACOs and provider organizations are rightfully scrutinizing the details of this verbose rule, despite the short deadline for a July 1, 2019 start date, with applications due by February 19, 2019. With 3-Day SNF waivers, gift cards available for patient reward, and telehealth reimbursement carrots dangled to provider organizations by CMS, it’s a quick turn likely to push more entrants into the MIPS program. However, the savviest of groups may recognize the potential advantageous economics of the SNF Waiver that eases and expedites the referral process to a nursing home without the currently required three-day inpatient stay. Only ACOs participating in MSSP performance-based risk tracks are eligible to obtain these waivers that very well can directly impact your daily census. Though CMS limits waiver use to patients prospectively attributed to the ACO, the minimal reduction in red tape is enticing depending on your unique patient population and market needs. Many particulars of the Final Rule will continue to further split providers into financial risk takers, taking the form of ACO members and MIPS-Composite score focused MIPS participants, while continuing to complicate and catalyze healthcare payment reform in 2019. Health plans, Centers for Medicare and Medicaid Services (CMS), and national news are touting the ongoing move from straight fee-for-service healthcare into fee-for-value healthcare. Upon initial glance, fee-for-value models absolutely provide new revenue streams for healthcare providers. However, when considering a fee-for-value partnership with a health plan; it is critical for providers to fully consider their dependency on the health plan for accurate, detailed reporting and reconciliation. Whether it is recognizing all submitted diagnosis codes for accurate risk adjustment or financial allocation of the patient’s care; providers have very little ammunition to fight any performance indicators rendered by a health plan. Even providers currently in fee-for-value arrangements and receiving regular incentives or distributions from health plans cannot accurately assess whether they are maximizing their opportunities without relying on the health plan. Particularly for Medicare Advantage, providers are the key partners that allow the health plan to maximize revenue through risk adjustment and STARS performance and providers should ensure that they are accurately reaping the rewards that the health plan is receiving. This lack of transparency becomes even more critical as providers consider the move to downside risk. 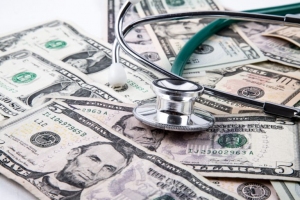 Accepting financial responsibility for a health plan’s determinations can become detrimental without any method of independently verifying those results. These are important considerations for all providers to make when partnering with a health plan in a fee-for-value model. Click here to learn more about our contracting services and how we can help you evaluate your options. With 82% of hospitals and 64% of Merit-Based Incentive Payment System (MIPS) Eligible Clinicians using EHR technology supported by Fast Healthcare Interoperability Resources (FHIR®), it might be time for patients, providers, and health systems to finally expect complete and centralized personal health records. FHIR is a pivotal turn for Health Level Seven (HL7®) to essentially turn your EHR into an application platform allowing immediate access to secure data sources, like your iphone, android, or smart TV centralizes banking information, mobile health information, and an endless supply of capabilities competing for screen time. FHIR provides a secure transformation of health information across disparate data sources, this ultimately can lead to reduced administrative quality reporting burdens, more timely transfers of personal health records (PHRs) across EHRs, even reliable biometric data monitoring within PHRs, and much more. This swift technological advancement breaks down data exchange barriers, largely in pursuit of population health capabilities encouraged by HL7s Argonaut Project which health information technology juggernauts such as Epic, Cerner, AthenaHealth, and provider organizations like Intermountain Health and Mayo Clinic. To a layperson, these organizations are using FHIR to essentially share meaningful clinical data on secure internet-based platforms (Think of an https:// address) called resources, that allow other entities to build off of this flexible set of data, including imaging results, lab tests, longitudinal care plans, etc. This industry sweeping capability raises the temperature for data blocking, recently referred to as ‘patient profiteering’ by CMS administrator Seema Verma who points out the financial incentives for health systems, vendors, or payors that purposefully contort patient data to maintain market share. The Office of the National Coordinator for Health Information Technology (ONC) will soon propose further teeth in the 21st Century Cures Law by defining data blocking instances to penalize with fines and decertification. This proposal is expected in December, which will then lead to a period of public comment. Congress has specifically focused on defining and regulating application programming interface (API) capabilities that halt data-sharing by intentionally forming proprietary data agreements to gain competitive market advancement. So, what’s the point? 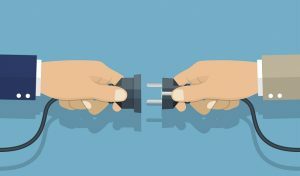 Interoperability may not be a day-to-day must-have for most providers and administrators in 2019, however it could finally connect disparate sources of health information in a clinically and practically relevant fashion in the very near future. Real-world clinical practice scenarios will drastically transform if FHIR continues to gain traction as the world’s brightest technology innovators compete for providing the most clinically relevant information sharing, within your existent EHR platforms. Can Existing Technology Really Save Rural Hospitals? 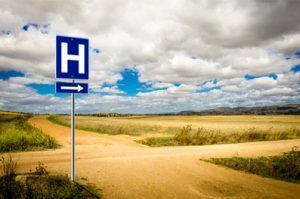 Between 2013 and 2017, nearly twice as many rural hospitals (64) closed their doors than the previous 5-year period; predominately located in the south, according to a recent publication by the U.S. Government Accountability Office. Through shrinking commercial reimbursement rates, increasing dual-eligible Medicaid-Medicare beneficiary populations, competition with alternative care settings (Urgent care, Minute Clinics, etc. ), transitioning payment models and the usual complex nature of rural healthcare finances, rural hospitals find few opportunities for new revenue sources. Considering the often-devastating impact of losing our rural caretakers within our communities, let’s take a quick pulse of the technology 2018 brought, that could potentially boost 2019’s income statement, if implemented wisely. Routine Follow-Up Care: Define it as telehealth, EHR utilization, population health or simply patient outreach – Every health system or physician practice can re-evaluate how efficiently we utilize technology to contact our patients. Providing routinely effective follow-up care is the starting point for not only the best possible clinical outcomes, but also maintaining patient loyalty, reducing readmissions and unnecessary ED utilization, and providing a top-notch patient experience. While hospitals handle telephone encounters and routine follow-up care differently, most often utilizing technological strategies instituted several years ago, it is always worth re-evaluating your outreach and use of business intelligence to monitor your success rates. This does not imply purchasing anything new, but often implies restructuring familiar and deeply ingrained workflows and internal skill sets. Partnerships with Data: Whether you’re providing teleradiology reading services, sharing in population health initiatives, Health Information Exchanges, or partnering with cloud-based HIT providers, the enormous influx and importance of data-driven decision-making continues to rise. Data accuracy, integrity, and reliability all continue to grow in variance from the high-end partnerships with continuously reputable results down to incomplete and incoherent data-sourced partnerships. When considered a priority, rural hospitals with keen eyes for technological solutions, often can find applicable alternatives via partnerships, without major disruptions in workflow or collections. Routinely reviewing current contracted claim payments, understanding the timing of patient liability payments, and reviewing the continuity of care services are the mere tip of the analytical iceberg rural hospitals must be successful in doing on a routine bases. Navigating the relative impact of which data-driven partnerships to pursue will continue to keep our rural hospitals afloat and thriving as our industry continues evolving. Click here to learn about our services and how we can help rural hospitals identify strategic opportunities.